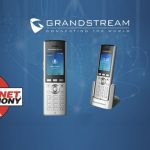 Grandstream Networks, the leading manufacturer of IP voice/video telephony and video surveillance solutions, announced today its newest member of the GXV31xx series VoIP multimedia phones, the GXV3175 desktop IP multimedia telephone with a 7″ touch screen LCD. 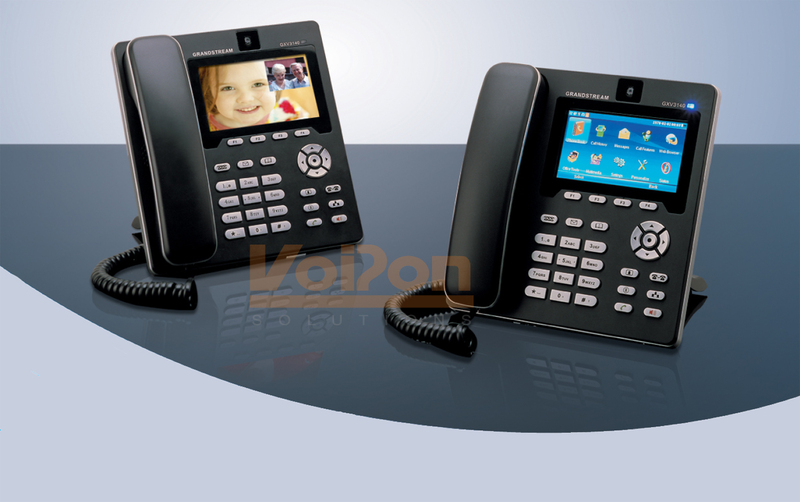 This is the sibling to the award-winning Skype-certified GXV3140, which has been highly popular amongst enterprise and SMB customers. 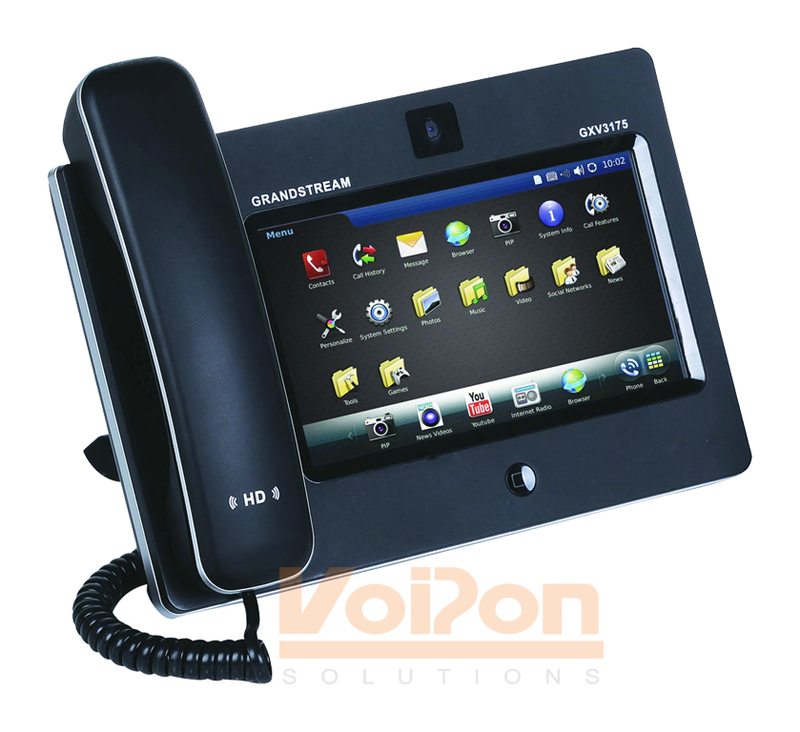 The sleek tablet-like GXV3175 delivers extraordinary video telephony capabilities with amazing picture sharpness, superior HD audio quality, and a variety of business productivity, casual entertainment, and social networking applications that are embedded in the phone. 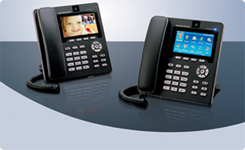 The GXV3175 represents the future of personal multimedia communications and redefines desktop IP communications experience with a raised level of innovation and integration of standard based HD IP telephony, high quality real time video conference, online rich media infotainment service, social multimedia and business productivity applications. 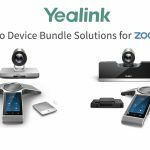 High Quality Video and HD Audio: a 7″ touch screen color LCD, 1.3 mega pixel tiltable CMOS camera with privacy shutter, dual 10M/100M Ethernet ports with integrated PoE, integrated WiFi (802.11b/g/n), dual USB ports, SD port, stereo audio and TV output, headset jack, and stylus pen. 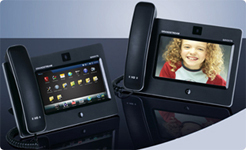 Video Conferencing Projection: allowing connection to a digital TV for larger caller projection. Easy Touch-and-Swipe User Interface with Built-In Infotainment and Social Networking Applications: the phone offers an intriguing touch-and-swipe graphic user interface in multiple languages, a full Web browser, personalized local weather, news, stock, currencies, games, thousands of online radio channels, support for video and music streaming service such as YouTube and Last.fm, home automation and monitoring, slide show, digital photo frame, Web photo albums such as Yahoo Flickr/Photobucket/Phanfare, social networking applications such as Facebook and Twitter (pending), IM with Yahoo/MSN/Google (pending), and many more. 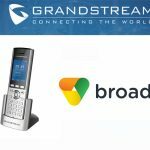 Broad SIP Interoperability with Security Protection and Auto-Provisioning: the phone is interoperable with most 3rd party SIP devices, major IPPBX or softswitch platforms, supports strong security protection using HTTPS/TLS/SRTP/OpenVPN, and can be auto-provisioned using TR-069 standard for large volume deployment in enterprise or service providers networks. PreviousRhino Ceros Shipping with Elastix! 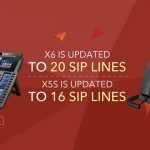 NextAsterisk 1.8 and Asterisk SCF: New Heights of Scalability for Asterisk. 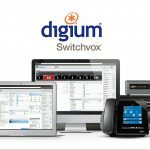 Is Digium pushing into the Large Enterprise/Carrier Space?